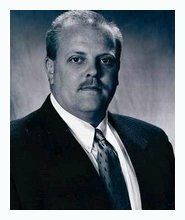 Paul E. Phillips, III, 51 of Dyersburg, Tennessee died on Monday, February 19, 2018, at his residence in Dyersburg, Tennessee. Born Friday, January 20, 1967 in Memphis, Tennessee, he was the owner of West Tennessee Fencing, worked several years with Dyersburg Police Department obtaining the rank of Sergeant. and was a former investigator with the Tennessee Highway Patrol. Mr. Phillips was a member and President-Elect of the American Fence Association, Past President of the Tri-State Chapter of the American Fence Association, member of Three Oaks Chapel, member and Past President of of the Dyersburg FFA Alumni Chapter and was a life member of the Dyersburg FFA Alumni Chapter. Visitation for Mr. Phillips will be Friday, February 23, 2018 from 6:00 PM until 7:00 PM at Three Oaks Chapel followed by funeral services at 7:00 PM. Officiating this service will be Rev. Bill Phipps, Rev. Brian Funderburk and Mr. Phillip Doyle. Interment will be for family only in Randolph, Mississippi. He leaves to cherish his memory, his wife, Samantha Moore Phillips of Dyersburg, Tennessee; one daughter, Peyton Elizabeth Phillips of Dyersburg, Tennessee; his mother and step-father, Kay Tidwell Obergfell (Sandy) of Walls, Mississippi and one brother, Ryan Phillips of Alligator, Mississippi. He was preceded in death by his father, Paul E. "Skipper" Phillips, Jr. Pallbearers will be Jeff Wright, Dob Johnson, Geno Perrette, Danny Petrie, Johnny Castellaw, Lucas Hamilton, Keith Gilchrist and Keith Ward. Honorary pallbearers will be Ted McNeill, Jerry Pate Hollingsworth, Chris Holbrook and Gary Langley. The family ask that memorials be directed to Three Oaks Chapel, 1105 Resthome Road, Dyersburg, Tennessee 38024 or Paws To Care, Inc., P.O. Box # 905, Dyersburg, Tennessee 38024. Online condolences may be made to the family at johnsonwilliamsfuneralhome.com. Johnson-Williams Funeral Home is honored to serve the family of Paul E. Phillips, III. 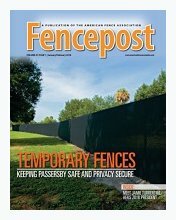 Your digital edition of the latest issue of Fencepost is available for your reading pleasure.This issue introduces the AFA membership to its 2018 president, Jamie Turrentine, includes a feature story on temporary fencing, and has the info on the new certification program AFA is rolling out this year. Start reading today! AFA University provides comprehensive schools, training programs and certifications to take your career to the next level. This year’s AFA University will take place November 4-10, 2018 in Arlington, Texas at the Hilton Arlington. 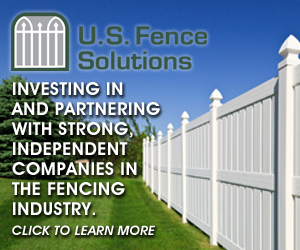 The schools offered include the Fence Installation School, Operator Installer School, and the recently announced Certified Fence Contractor (CFC) program. Each program is a duration of five days. Additional details regarding cost, registration, and more will be available soon on the AFA website. 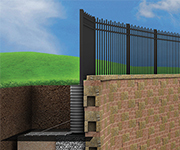 The Phoenix rises again is actually the saying, but earlier this month in the southwest, it was FENCETECH that came to life. 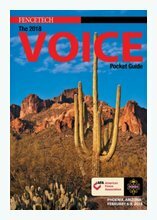 For those who were unable to make it, the digital edition of the 2018 VOICE Pocket Guide is available for your reading pleasure. Check out all that was offered and be sure to mark your calendars for next year. The event is guaranteed to be bigger and better. The AFA Education Foundation (AFAEF) presented seven applicants with scholarships for higher education. The scholarships are awarded based on need. Congratulations to the following individuals for being selected. Applications for next year’s scholarships will be available in the spring. Please contact our office at (800) 822-4342 or check our website to view or apply online. More information about events can be found on the AFA Facebook Page, website, or chapter websites. 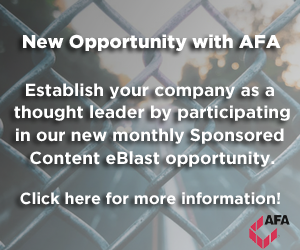 Average member saves $1,650 with the AFA Member Savings Program SPRINT discount! Sprint’s new 4G LTE Plus network is built for improved coverage, better in-building penetration, and faster speeds so you can email, browse, surf, download, stream and share files FASTER than ever. Benefits include: •	Waived activation and upgrade fees •	25 percent off select accessories •	Port-in credit of up to $150 per line (business accounts) •	Up to $300 credit with the BuyBack program Switch and Save Our representatives will help you determine the plan that best fits your business needs and the best time to make the switch. ARCHITECTURAL IRON DESIGNS, INC. (AIDI) LAUNCHES NEW BRANDING! Architectural Iron Designs, Inc. (AIDI), a premier supplier of ornamental and architectural metals, gate hardware, and metal finishes, has launched their new brand. Many know, but for those of you who do not, Chris Houchin was diagnosed with stage 3 adenocarcinoma of the gastric-esophageal junction. There are two lymph nodes involved as well. Chris will be having chemo and radiation for six weeks prior to surgery. Treatments started on Jan 2; chemo will be done during this time as well. Once treatment is done, Chris waits an additional six to eight weeks before undergoing surgery. Surgery will be eight hours, and he will be in the hospital for two weeks. Keep the prayers coming! This is not going to be an easy journey, but God will provide our strength! We have faith and peace in knowing that our God is bigger than this. He will put us in the best hands possible. Please keep the prayers coming -- we know they work! Share this page with your friends. There is no such thing as too many prayers being sent up! Jake Riley Eastern Territory Sales Southwestern Wire, Inc.